Baier has been producing high quality power tools for over 80 years. Located in Stuttgart, Germany, the company now exports to over 60 countries, gaining a worldwide reputation for quality and innovation. 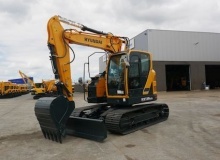 Hyundai Construction Equipment has launched the new HX130 LCR, the third compact radius excavator model in the company’s HX series product line. 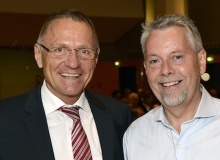 On 1 July, Tyrolit’s executive director for the construction division, Alfred Landl, handed over responsibility to Andreas Sauerwein, Helmuth Stampfer and Wolfgang Wiefler. Demarec, part of the Kinshofer Group since 2006, launched its own dedicated e-commerce site at the beginning of July. Over 9000 operating hours with an average performance of 150 tonnes per hour (170 st/h). The Rockster R1100S proves itself every day in road construction in the Turkish province of Gaziantep. And that to the complete satisfaction of the customer. 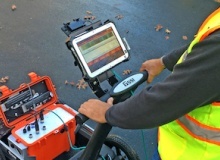 As manufacturers of high quality ground penetrating radar technology, GSSI is an organization that understands the rigor of field work. The circular economy and the development of renewable energies are but two challenges to be faced concerning environmental issues in North Africa. 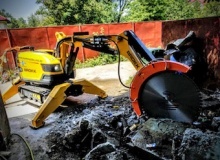 The Romanian concrete cutting company, LT Diamond Drilling Pty Ltd., has produced a very interesting development in the demolition industry, with the launch of the first wall sawing attachment for demolition robots. 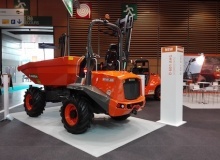 Four new machine models were introduced at once, together with a proprietary Brokk hydraulic breaker range, and three new concrete crushers from Darda at Intermat this year. The four new machine models take the Brokk power to weight ratio to new heights enabled by the unique Brokk SmartPowerTM technology. Since the Intermat show earlier this year, the market has seen the launch of a large number of new wheel loader models. This special feature looks at some of them, with a particular emphasis on the new ‘futuristic’ Volvo compact wheel loaders. 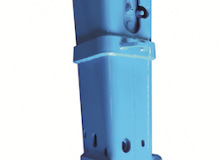 Idromeccanica Italiana S.r.l is a leading designer and manufacturer of attachment equipment, placing great store on being a customer oriented company, paying close attention to its customers’ needs. 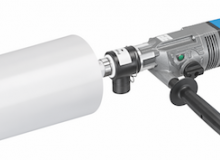 This has seen the company launch a new e-commerce site as well as new breaker models. 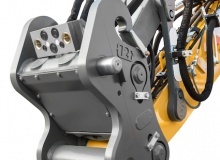 Following the recent launch of four new demolition robots, Brokk has now introduced the ‘SmartConcept’, a package of technological features that offer significant improvements in power management, reliability, maintainability, and ergonomics. 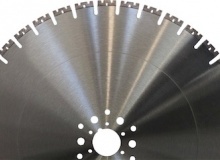 Dymatec, the leading manufacturer and provider of specialist products for the diamond drilling and concrete cutting industries, has launched a new and improved version of its bestselling P20 diamond tracksaw blade, the P20W. The headway made by the demolition and recycling industry over the last decades is simply staggering. 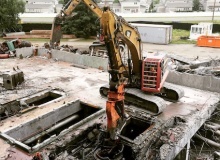 From a wrecking ball, and hard to control implosions, the industry has progressed to safe and precise demolition techniques, involving powerful and sophisticated excavator attachments. 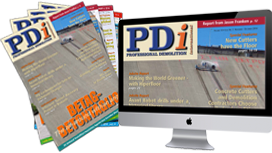 PDi’s Andrei Bushmarin presents a ‘crash course’ on the latest innovations in the attachment business. In March 2018, Keestrack, the international specialist manufacturer of mobile processing technology, signed a dealership agreement with JCE Co, Ltd. based in Kanagawa near Tokyo, Japan. Austrian company Halbeisen & Prast KG feels it has the right equipment for every job, with the innovative features of its RM 90go! crusher making its work easier, and saving money. 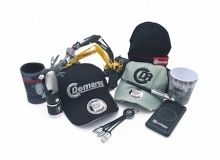 The European Demolition Association, EDA, in partnership with the Committee for European Construction Equipment, CECE, has organised a think tank titled, ‘Equipment for demolition’. This spring Maximus, the Northern Irish manufacturer of mobile screening units based in Coalisland, County Tyrone, acquired a new majority shareholder, Rubble Master.